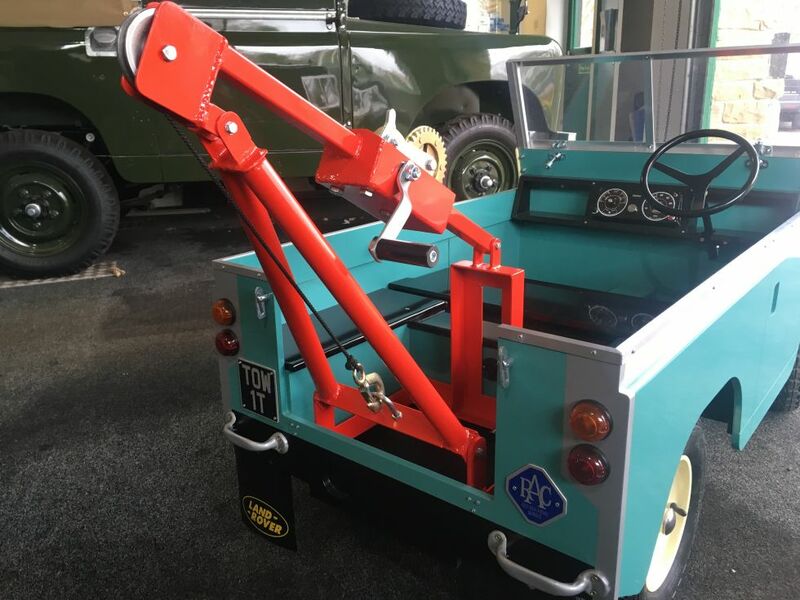 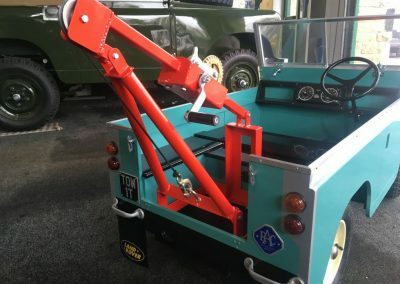 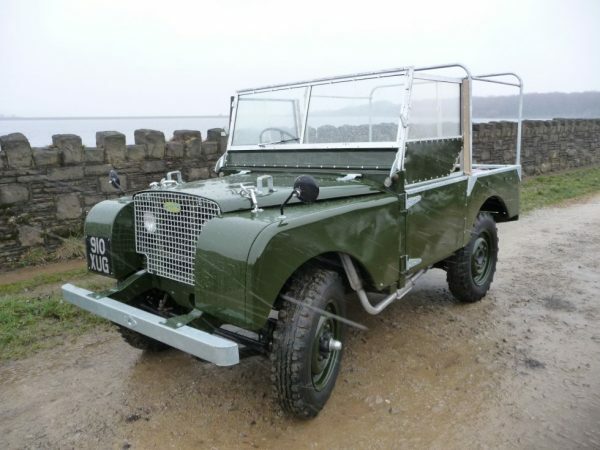 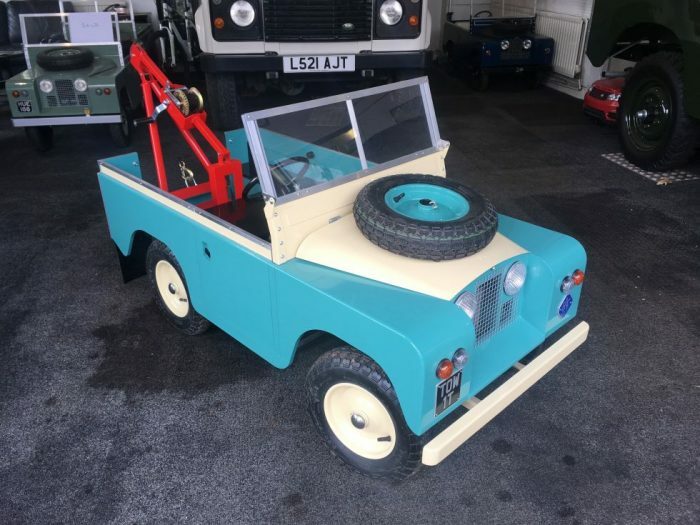 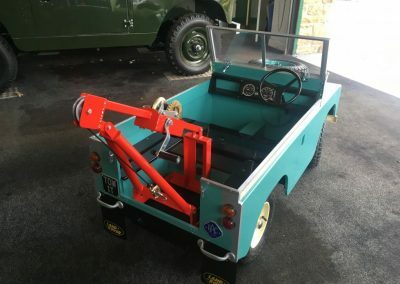 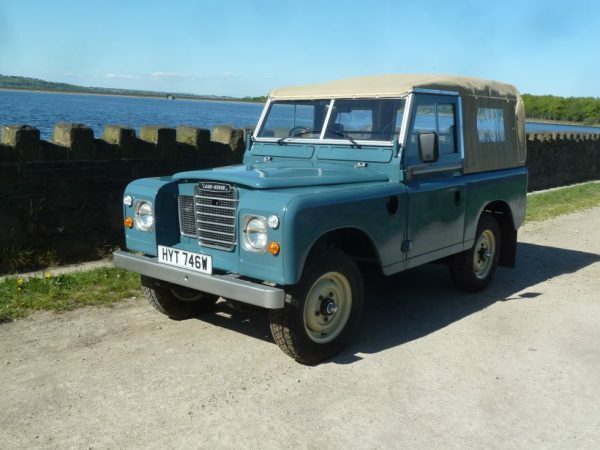 Categories: Classic Land Rovers, Interesting vehicles, Other Land Rovers, Other misc. 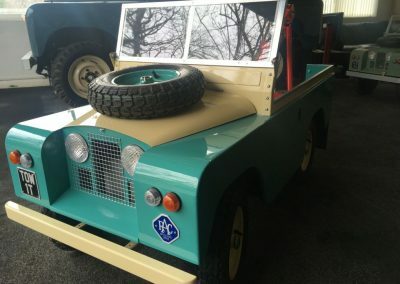 What up and coming Land Rover enthusiast would not enjoy this ?? 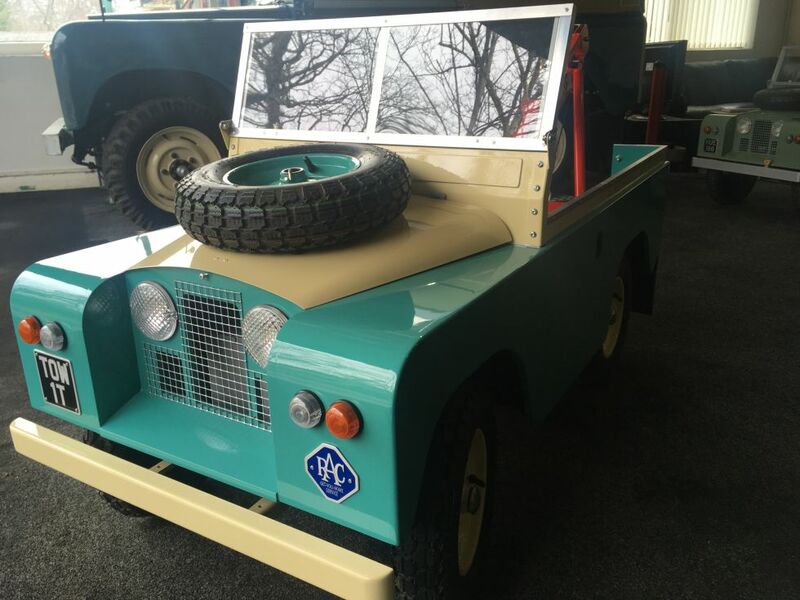 Specially commissioned by the Land Rover Centre, and built as a scale replica of the full size item. 24v Batteries, with rear diff and twin drive. 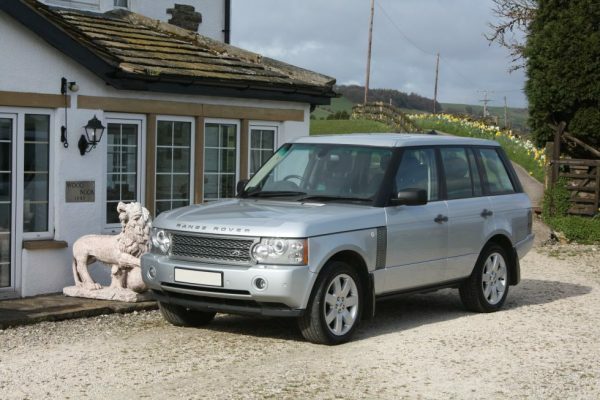 Travels at approx. 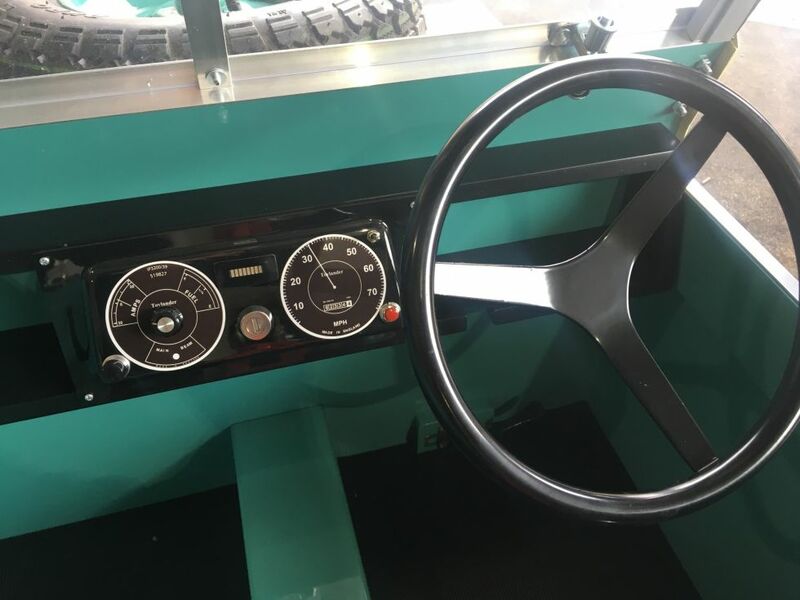 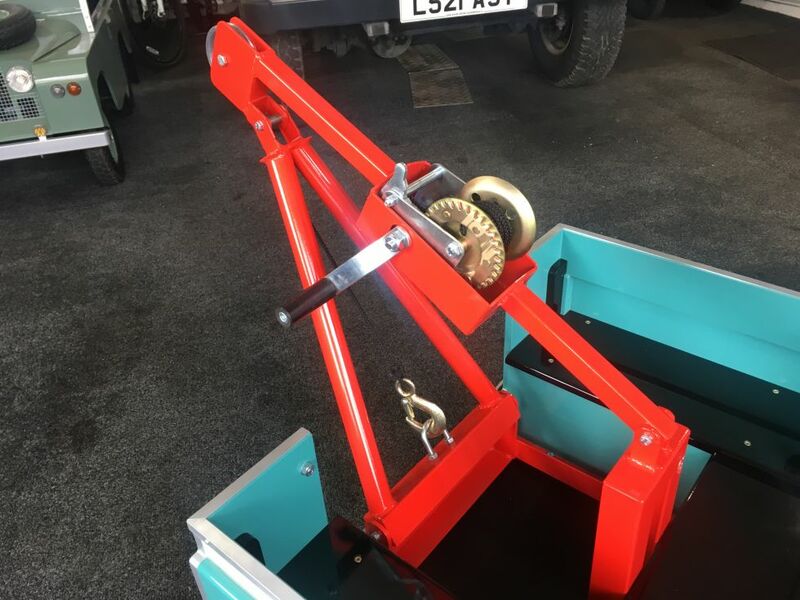 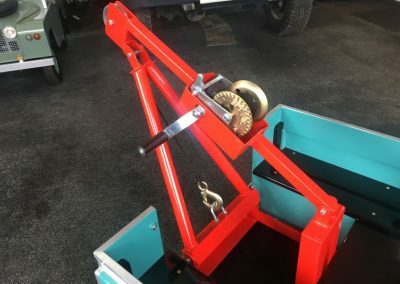 4 to 6 MPH with variable speed controller. 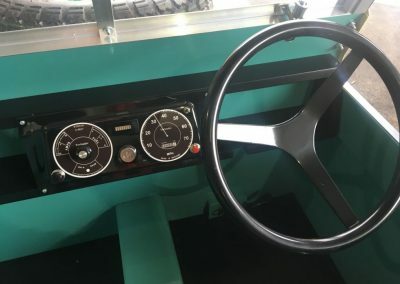 Highly detailed, including working lights, horn and indicators. 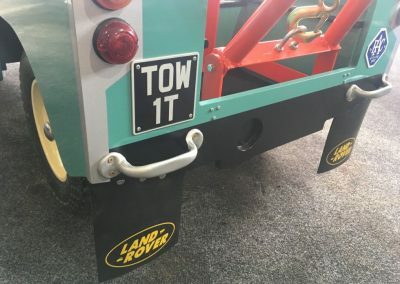 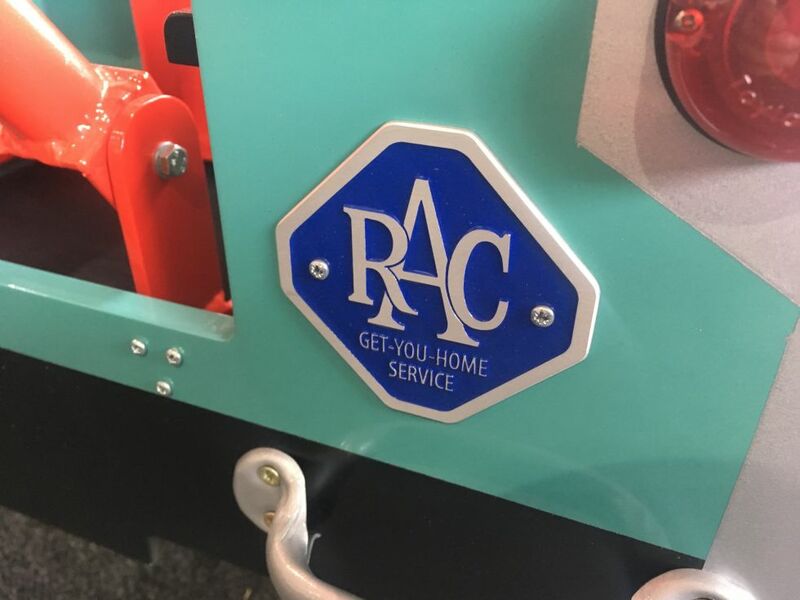 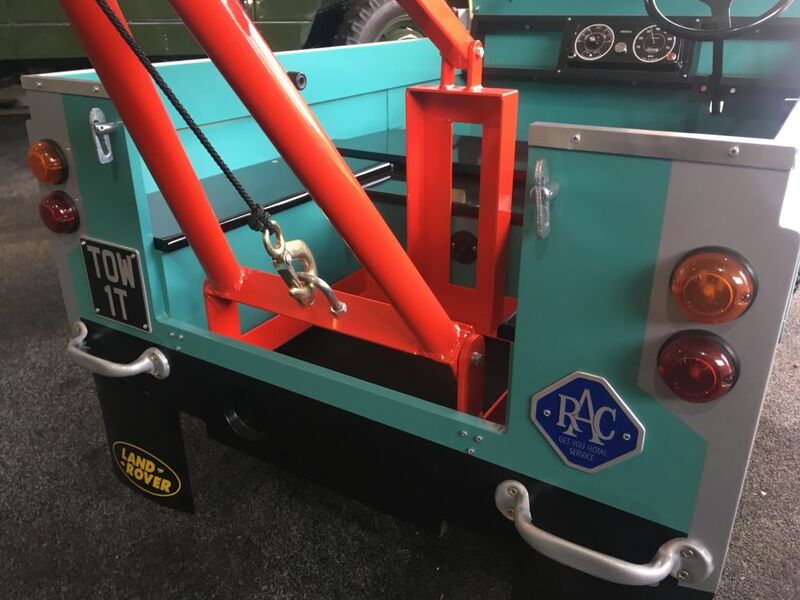 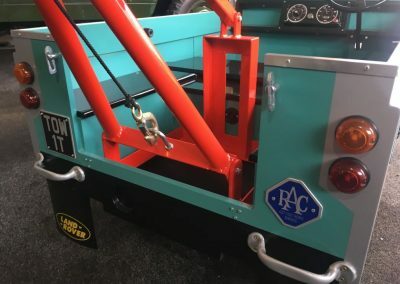 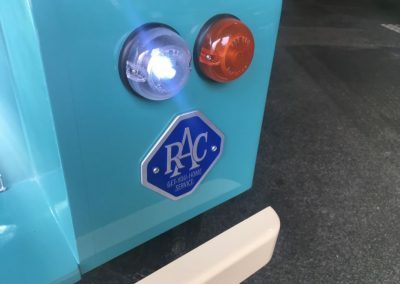 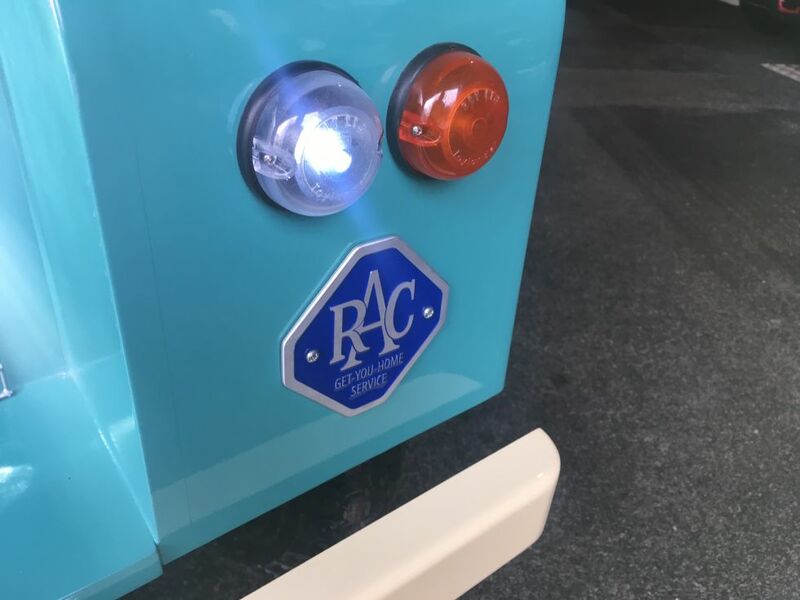 RAC badge on the front, Land Rover badge on the rear and Land Rover logo rear mudflaps. 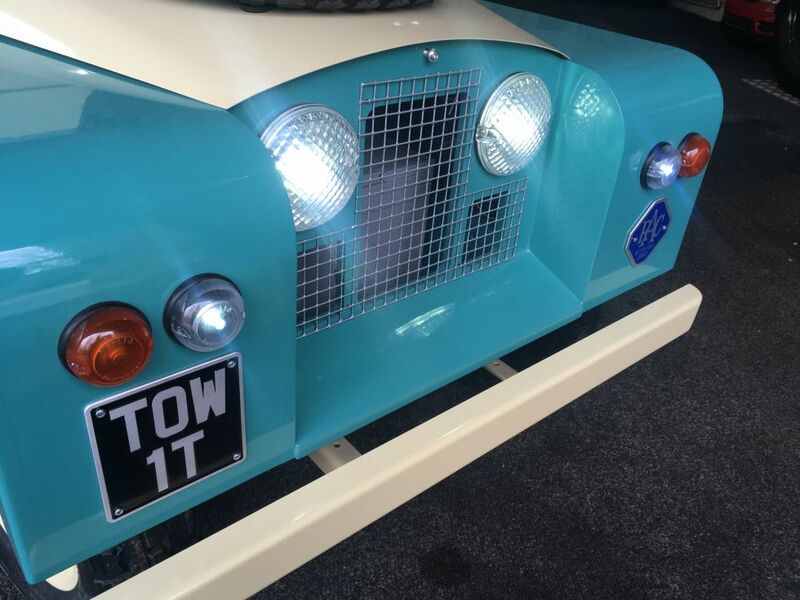 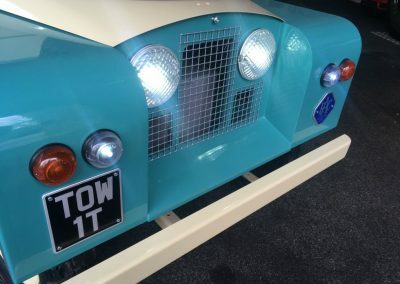 “TOW 1T” registration number !